CARFAX One-Owner. Clean CARFAX. 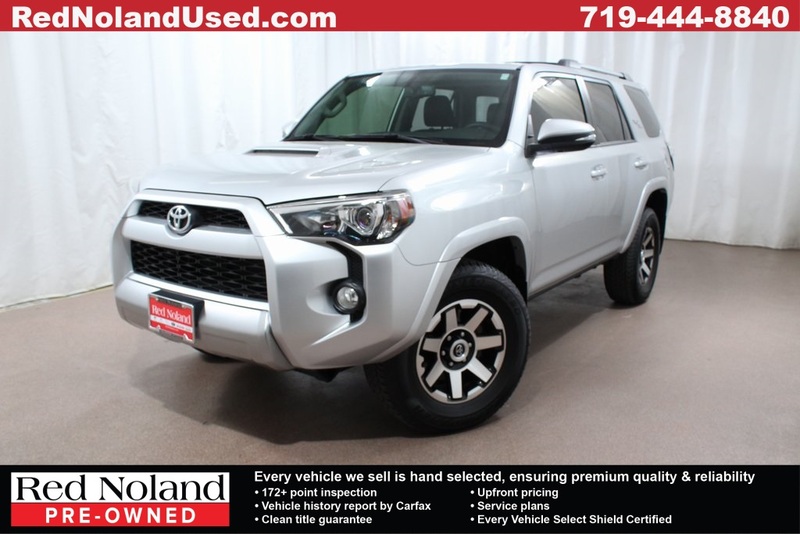 ABS brakes, Body Color Heated Mirrors, Compass, Electronic Stability Control, Heated door mirrors, Heated Front Bucket Seats, Heated front seats, Illuminated entry, Low tire pressure warning, Remote keyless entry, Traction control, Wheels: 17" x 7.5" 7-Spoke Unique Off-Road Alloy. Located in Colorado Springs CO, and serving Castle Rock, Highlands Ranch, Pueblo, Pueblo West, the greater Denver area, and Southern Colorado. Call us at 719-444-8840.